orris County was among the few Revolutionary strongholds in New Jersey. Morristown provided Washington with an important defensive advantage. The country lying behind Long Hill and the Watchung Mountains was protected from sudden attack by both those rugged heights and broad swamps. ore importantly, the furnaces and forges that provided iron products for the army were located nearby. The army was able to subsist in the Morristown area without overburdening the local economy or depleting its food reserves. rom here, with reasonable security, Washington could keep an eye on the British wintering in and around Manhattan Island. 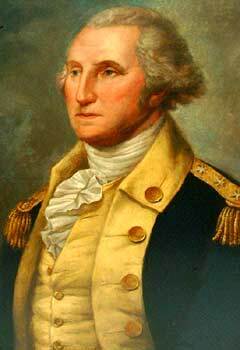 He was able to guard the roads connecting New England with the Revolutionary capital at Philadelphia. 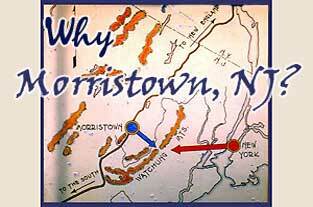 Washington could also move his troops swiftly to any threatened point from Morristown.